Can Dr. Ruth be done now, like for good? 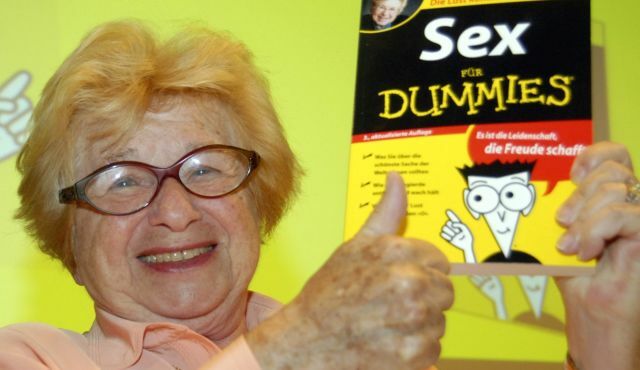 Dr. Ruth Westheimer needs to be done. Now. For good. Please, no more interviews. “The idea of consent is nonsense. Except consent before they are naked in bed” were the words of Dr. Ruth in an interview with Haaretz in March. Dr. Ruth, I am very worried too. That a woman like yourself can say such a thing is very worrisome to me. Unfortunately it only gets worse from there. Um, no sorry it just doesn’t work like that. He/she may change their mind at ANY second during ANYthing. No, you didn’t read that wrong, she really said “the brain flies out.” Where does it go? Or better yet, where did yours go, Dr. Ruth? Luckily there were plenty of rabbis that responded promptly to help clear up Dr. Ruth’s warped interpretation. And just like that piece of mold that was on my sandwich a second ago (I ripped it off)–this kind of irrational thinking, if not addressed quickly, can spread and only works to help the people committing the assaults justify it. And that is the last thing we need. So, please, Dr. Ruth lay off the interviews. Or maybe after this people will finally stop booking her? I guess it is true that with age comes brain cell loss.